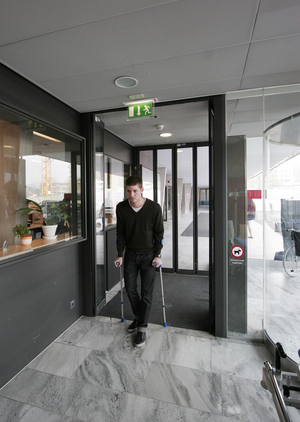 Pushing a bed through the corridors. 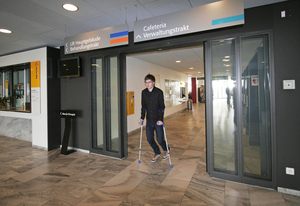 A patient walking on crutches. 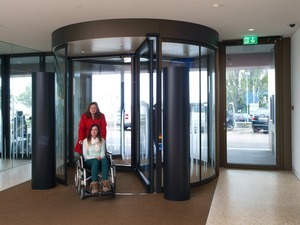 Entering the care home in a wheel-chair. 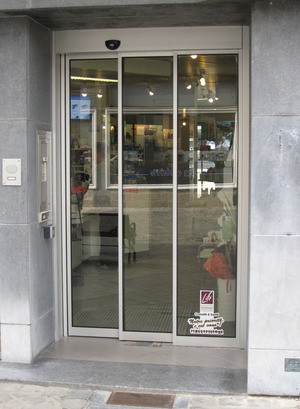 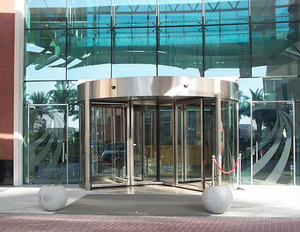 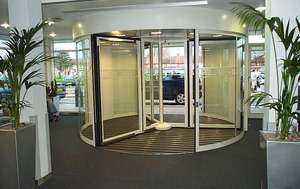 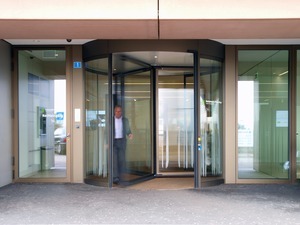 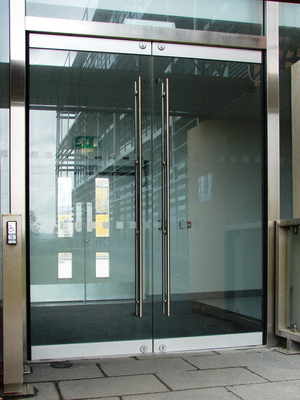 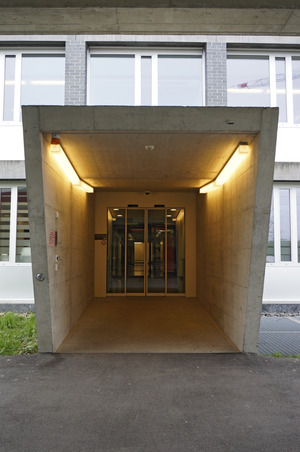 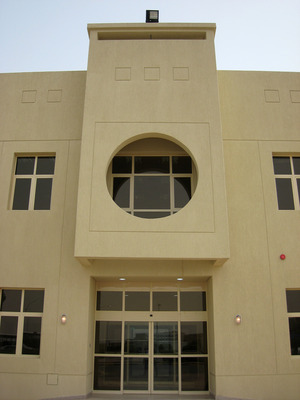 Automatic doors give people safety and security. 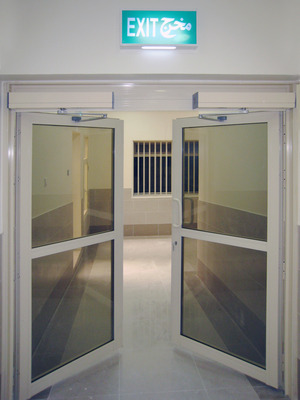 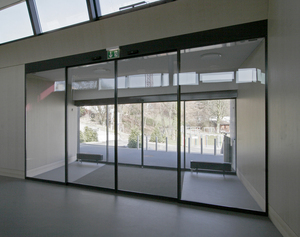 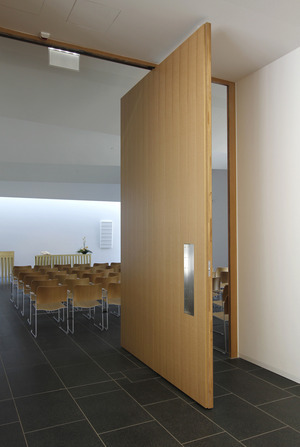 In the field of health-care automatic doors are not an option but a necessity for freedom of movement and hygiene. 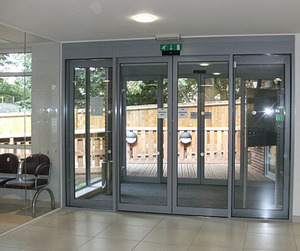 Hospital and care home directors, hospital consultants and security staff all benefit from automatic doors thanks to networked security systems. 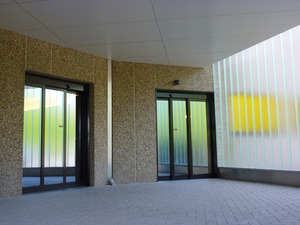 Rapid opening capability. 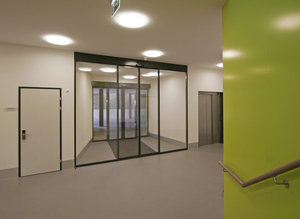 The need for sterile environments. 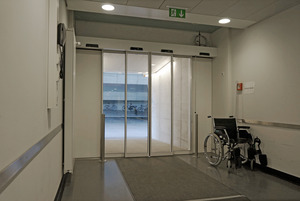 Safety in the event of a disaster thanks to fire protection and escape functions. 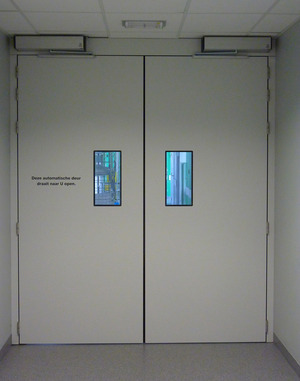 In short, the protection of life. 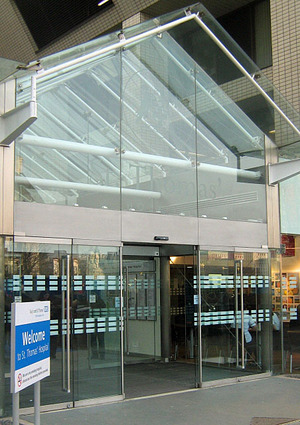 TORMAX removes obstacles in hospitals, psychiatric clinics and care homes. 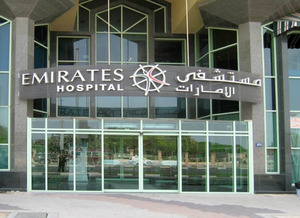 In private and rehab clinics, in sanatoria, spas and spa hotels.